2. 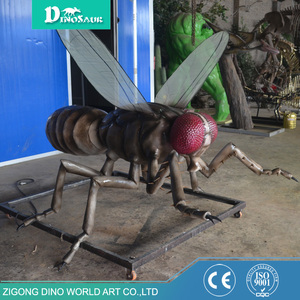 Mechanical Frame : Stainless steel and brushless motor make insects using many years. 9. 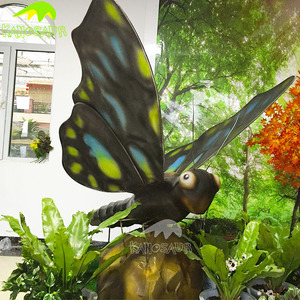 On-site Installation : We also send engineers to customer's place to install insects. 3. We also send engineers to customer's place to help installing dinosaurs. 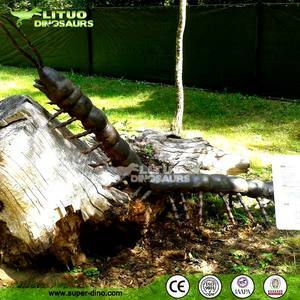 Installation Large size dinosaur skeletons we will send engineers to install it. 5. Painting: Painting master can paint dinosaurs according to customer's requirement. 6. 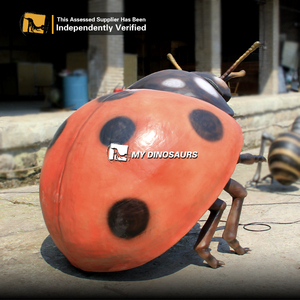 Final Testing: Each dinosaur will also be continuous tested 24 hours before shipping. 2.Find the corresponding number of controller and data line then connect. 3.Connect the speaker and the infrared sensor . 5.Switch on the red button,then the product works. 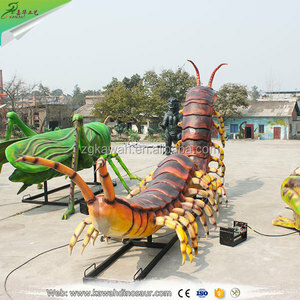 Artificial Animatronics Giant Insect Model Size 1.Standard size: L3m x H0.5m, 2.Custom any size. Material Anti-rust steel frame + High elastic sponge + Non-poisonous silicon rubber Movement Standard: 1.Mouth moving, 2.Head moving up and down, left to right, 3.Legs moving. Service Manufacture, transportation assistance, installation, maintenance training, 2-5 years maintenance, design, etc. 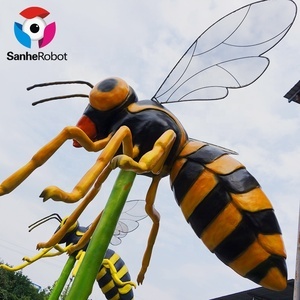 Alibaba.com offers 94 animatronic giant insect model products. About 98% of these are other amusement park products. 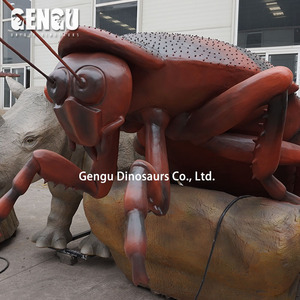 There are 94 animatronic giant insect model suppliers, mainly located in Asia. 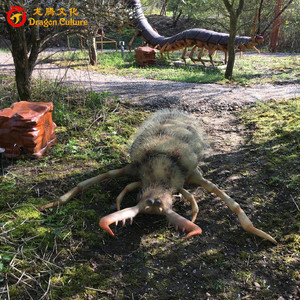 The top supplying country is China (Mainland), which supply 100% of animatronic giant insect model respectively. 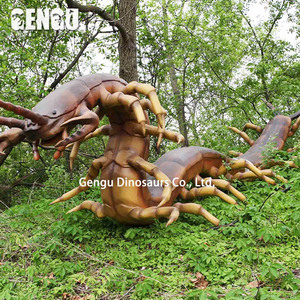 Animatronic giant insect model products are most popular in North America, Domestic Market, and Southern Europe. You can ensure product safety by selecting from certified suppliers, including 77 with ISO9001, 10 with Other certification.